We have had a variety of professional punters on the podcast over the last 12 months, but in this edition we have someone who is working hard to get to that level. 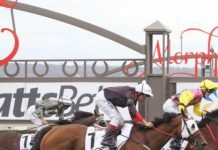 Trent Orwin has given up his full-time accounting career so that he can develop his betting skills and experience to the point where he can be a professional punter. He is currently spending 30-40 hours each week in pursuit of that goal. We will hear from him again at the end of 2014 to see how far he’s progressed on that journey. David Duffield: Hi everyone, it’s Dave here. I’ve got Trent on the line, and I’m looking forward to having a chat. Trent Orwin: Thanks for having me Dave, and hopefully a few up-and-coming punters can learn something from this. David Duffield: Yeah, that’s the plan. We’ve had a few professional punters on the show over the last year, but I thought it was time to get someone on who is aspiring to get to that level, and just keep in touch with them, as they go on that journey. You’ve put your hand up to be that person. Trent Orwin: Yes, I have. David Duffield: You may know, there’s a documentary series … it might be a little bit old for yourself … the Seven Up! documentary series. What they do, they focus on a bunch of kids at aged 7, then again at 14 and 21 and so on and just keep an eye on them, and assess how they’ve developed throughout their lives. This will be similar in a way. I’ll check in with you once or twice a year, and see how you’re going in achieving that goal of being full-time. How does that sound? Trent Orwin: It sounds good Dave. It’s definitely something I haven’t heard of, so it’s probably something I can look into. David Duffield: Tell us about your background as a punter and also professionally? Trent Orwin: I’m just like everyone else out there. Started off watching a couple of races, and you fall in love with it over time. Although, for me it was more harness racing that took my interest. I did grow up … You watch the Melbourne Cup, the race that stops a nation, but for me it’s just harness racing. David Duffield: What is it about harness racing that particularly attracts your interest, because it’s not really a growth sport amongst the younger crowd. More people enjoy and there’s just a lot more interest in thoroughbred racing. Trent Orwin: That’s right. For me, it’s the driving tactics that I find very intriguing. It’s always interesting to see how drivers will drive their horse. Some horses can do it from the front. They like to roll along at a very good speed, while others like to play the enforcer role, and they’ll grind the opposition into the ground from the death’s seat. Then there’s the likes of say a sprinter, who’ll just sit back, watch it unfold, and then unleash a devastating sprint that’ll hopefully run over the top of them. For me, that’s the most intriguing part about harness racing. But I also enjoy the consistency. I’ve found when I’m doing the form analysis prior to a meeting, it’s pretty consistent with the speed maps. You know the horses that will go forward, the horses that will go back, and the one’s that’ll be driven on the pegs for luck. David Duffield: We’ll talk more about harness racing in a moment. Before we do that, what was your background, university or professionally, what have you been doing? Again, how has that transferred or translated into what you want to do in the punting side of things? Trent Orwin: I’m actually a former accountant so I went to university, Bachelor of Commerce, majoring in accounting, worked as an accountant for a couple of years, for a couple of firms. It just wasn’t for me. I found it pretty boring, to be honest, and I was just looking for something else that actually interested me and for me it’s harness racing. I love the challenge of trying to derive a profit week in, week out, or if we’re looking more long-term really, month in, month out. David Duffield: I understand, so from the accounting side of things, what type of skills that you’d learned there … obviously, there’s a lot of work with numbers, but also, I suppose, the logic side of things. What did you learn from the accounting studies and work, that’s possibly transferable to the betting world? Trent Orwin: There’s not too many, but the main one would be percentages. You want the percentages in your favor. 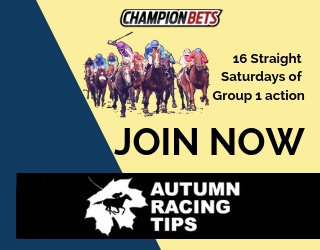 We are trying to find as a punter, a competitive edge in the market, that other punters do not have, or the bookmakers do not have. It’s definitely a percentage-based thing for me. It’s just trying to find when the odds are in my favor, and when the odds are in the bookmaker’s favor. In which case, I’ll steer clear of the bet. David Duffield: From the accounting world, you said that wasn’t for you, so where are you at right now? Are you basically … would you say … semi-professional in the work that you’re doing? Trent Orwin: I would still say I’m a just a keen punter at this stage, and I’d be looking to get to that semi-professional in the six to twelve months. David Duffield: How many hours a day or a week would you put into it at the moment? Trent Orwin: I’d be putting in probably 30 to 40 hours. David Duffield: So semi-professional in workload, but not yet in the return that you generate? David Duffield: You mentioned some of the form work that you do for harness racing. What is the breakdown of that? Are you online looking at various form guides? Are you studying sectional times? Are you watching race replays? What are you doing? Trent Orwin: It’s a combination of those Dave. I mainly use the Australian Harness Racing website, and through that you gain access to … They’ll have the fields, a bit more of a detailed form guide. It’ll have the past five runs of each horse, and including, if they haven’t won within their past five runs, it’ll also have their last win. We can see the date. We can see the run to that, and we have access to replays that go beyond that as well. If you know the specific date that a horse has run, you can actually go back through the results page, pick the date, pick the race, and watch the replay from there. I use a combination of that and Sky Racing for video replays. I do look at sectional times, to a degree. It depends on how the race is run, and where I think it’s relevant. For instance, if they’re just walking along up front, I won’t heed too much attention to the times, it’ll more so, I’ll look at the run, and see if anything actually made up ground from the back, because it’s pretty hard to do when they come home in say, a 27 second quarter, to finish the race. David Duffield: And with the sectional times, are they just made publicly available by the clubs, or is there a similar service to Daily Sectionals, where they take advantage of the official ones being less than accurate? Trent Orwin: There’s no Daily Sectionals alternative in harness racing that I’ve come across. I know some of the bigger clubs, such as Melton, they email out the sectionals for each individual runner. I’m not entirely sure on how accurate they are. I’ve heard some people within the industry say, they’re not that accurate, and they prefer to hand time their own. While others use that as a guide, and it’s accurate enough for their form analysis needs. David Duffield: So how do you think you’ll be able to beat the market? How will you take in all this information, and then distill it, and have your own market, and then bet the overlays? How do you actually achieve that? Trent Orwin: There’s a few different ways I try to find that edge. One that I’m willing to do, is I’m willing to forgive a bad run. A lot of the time, the market or bookmaker will not forgive a bad run, where either they’re raced against their usual racing pattern, or they might be held up early, before getting a run in the straight. On paper, you see them run say, a sixth or a seventh, and it’s like, “Oh well, they were beaten convincingly.” But then when you actually sit down, watch the run, and you know the ability of the horse, I guess, I’m able to forgive that, and try and put a gauge on how much ground they have lost, to work out where they should have finished in the run. That’s one way. Another is, horses that have to do it tough. So you’ll have a horse that either will sit in the death seat, or will come three wide, without cover. It’s understandable that a lot of these do weaken over the concluding stages. They might knock up say the last 100 or 200 meters, but then when you’re working out a race, you might find out, or you look at the possible speed map, and you’ll see that they will get conditions to suit. They will get the run of the race, and the bookmakers sometimes don’t forgive that previous run. David Duffield: On market percentages, you said it would be a strength, considering the accounting background. On a recent webinar that we had, you had a few questions about that, and I know that you’ve had discussions with people like Ben Krahe, regarding bringing those ratings back to a 100% market, and the favorite long-shot bias and other things. 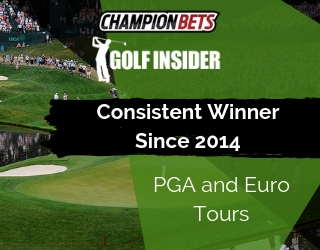 Where are you at, in that process of turning form analysis and the raw data into actual rated prices? Trent Orwin: I would say I’m still pretty green, if we’re going to use a horse racing term. I’m still trying to improve the accuracy of my markets. I’ve noticed sometimes I get it pretty accurate, and other times I’m fairly off with a couple of the runners within the race. It’s more just when I do the review stage, just having a look at my market, and then watching the runs, and comparing it to the speed maps and predictions that I had. It’s all about trying to improve the accuracy of the markets, and just trying to find the edge. David Duffield: You mentioned reviews there: what do you do post-race? Trent Orwin: I sit down. I’ll have the results page out. I’ll have the replay out, and the steward’s report as well, which I think is crucial. It’s probably one thing that a lot of punters probably overlook. There can be some gold nuggets of information within that. Say, you might have a heavily backed favorite or heavily backed runner that may perform poorly, and you could see in the steward report, that they may have pulled up sore, or the driver may have … I guess, for horse racing more so … they may not have handled the ground? It’s one thing that you can add to your own, if you have a horse data base, you can add to that for future reference. 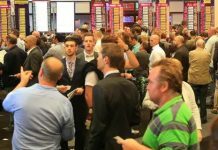 David Duffield: What other skills do you think you’re doing to need to improve or learn from the start, from scratch, to get to where to where you want to be, and that’s a professional punter? Trent Orwin: Key things that I think I need to learn in order to make that transition to a professional punter would be discipline. I think for most people starting out, especially, it’s one thing that probably eludes us. It is, if you haven’t put the work in say, for a certain race, you really should not be betting on it. You’ll hear other form experts or your mates or the person at the racetrack, give you a tip, but you don’t know how accurate this information is, or how good the source is. Just being disciplined is: trusting in your ability, your markets, your judgment within a race, as opposed to outside information. Also not taking shortcuts, which I think you can do. You might be a little tired after a big weekend, or the main weekend of racing, say a Friday night for harness, or a Saturday for horse racing. You might have that racing hangover, so you cut back on the hours, or you cut back on the time that you would to review races, or to preview the next lot of races. It’s definitely not taking shortcuts, and putting in the same amount of time, or even more, week in, week out, and just trying to grind out that small profit that you can on a constant basis. David Duffield: Are you worried, that even if you develop a good edge, that your biggest struggle might be getting bets on a decent size if you’re talking harness racing? I mean, it’s enough of a challenge in thoroughbred racing? 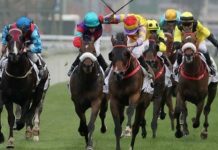 Trent Orwin: Yes, it’s certainly one that is plaguing anyone that is successful, but there’s plenty of bookmakers that go around. You can go through one, go through the next. Although, it depends where you are betting. If you’re betting at the metro meets, you can get on a bet there, and there’s plenty of money around to be able to get a bet matched. Whereas, the small sort of country meets, it may be a little harder? David Duffield: Are you focusing on a particular geographical area at the moment? Trent Orwin: I’m still I guess in the feeling out stages, where I’m learning what tracks I’m most profitable at, and what tracks I am not profitable at, and then you can spend more time working on the reasons why, and just targeting those tracks. But I do have one track, which I call the goldmine, so that’s certainly my focal point at this stage. David Duffield: It sounds like you’re keeping thorough records? Trent Orwin: Yes, I think that’s one thing for anyone that is semi-serious about punting, it’s definitely keeping track, and keeping records of every bet you place, where you placed it, and the likes. David Duffield: You’ve been pretty clever in seeking out guys who have been there and done that. What have you learned from mentors? Trent Orwin: I’ve got a couple of mentors that have helped significantly in the past few months, improved my betting success. One of them is Ben Krahe. As you know, he’s the latest member of Champion Picks. David Duffield: What have you learned from Ben? What’s he taught you that’s helped your punting? Trent Orwin: The biggest thing that Ben has taught me, is how to price the market from scratch. It’s one of those things that you see it in the paper, or you see it online, but I didn’t know what sort of percentages I should be pricing the market to. Ben has guided me though that. 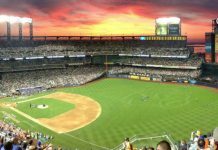 He’s mentioned … also along the lines that you’ve mentioned, with a favorite long-shot bias … is that you want to bring the market in a little bit towards the favored run as well. The long shots, you really want to stretch them out, because there are horses that go around, that have absolute no hope, yet within a bookmaker’s market, they’ll give them a couple of percentage points. David Duffield: As well as Ben, there are probably some pretty smart guys that listen to the show and I’ve actually been in touch with a few of them. Maybe one or two of them might help you in some way, I’m not sure? What type of skills or experience would you like to tap into at this stage? Trent Orwin: How do you mean that? David Duffield: What’s an area that you really want to improve, or that you see as a weakness right now, that you’d like to turn into a strength? Is it money management, is it harness racing form analysis, is it sectional times? Where do you see as a key area to improve? 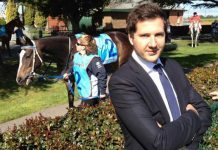 Trent Orwin: It would be harness racing form analysis. I think I’ve got the bankroll management pretty down pat. Ben has also been part of the reason for that. David Duffield: Fair enough. All right, if anyone does want to get in touch, we’ll have your Twitter handle in the show notes. They can contact you that way. I think that’s covered where you’re at right now, and we’ll check in again at the end of the year. That’ll be seven months from now, and see how you’re traveling, and see how far you’ve come along in the journey. I’m sure a lot of people will take plenty of interest in how you’re going. Trent Orwin: That’ll be great. Thanks Dave. I appreciate it. David Duffield: Thanks Trent. See you mate.